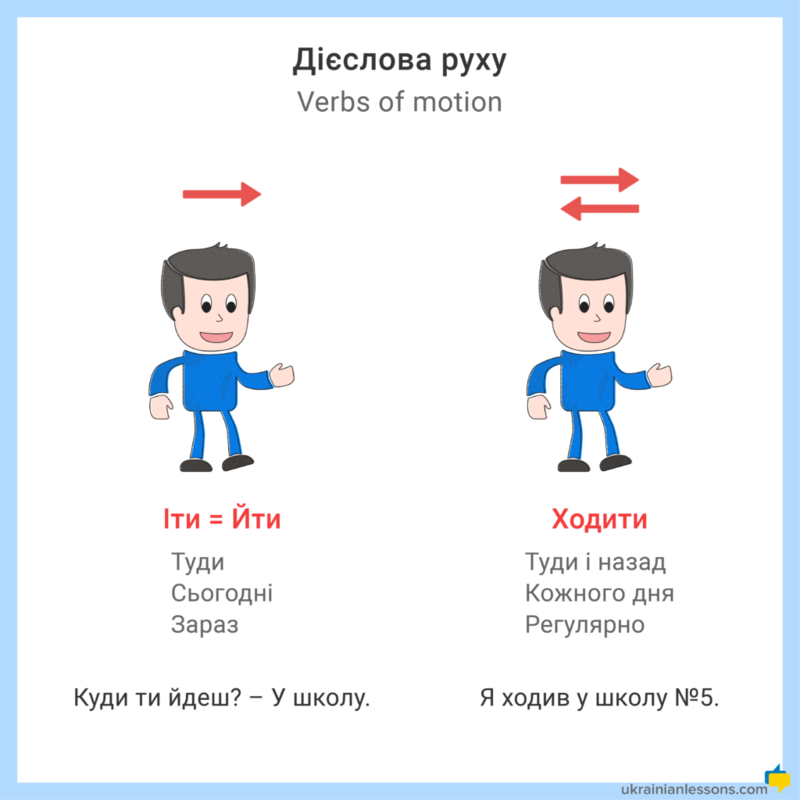 Verbs of motion in Ukrainian can be very confusing. Іти, ходити чи їхати? At Ukrainian Lessons, we want to make learning Ukrainian process easy and fun. 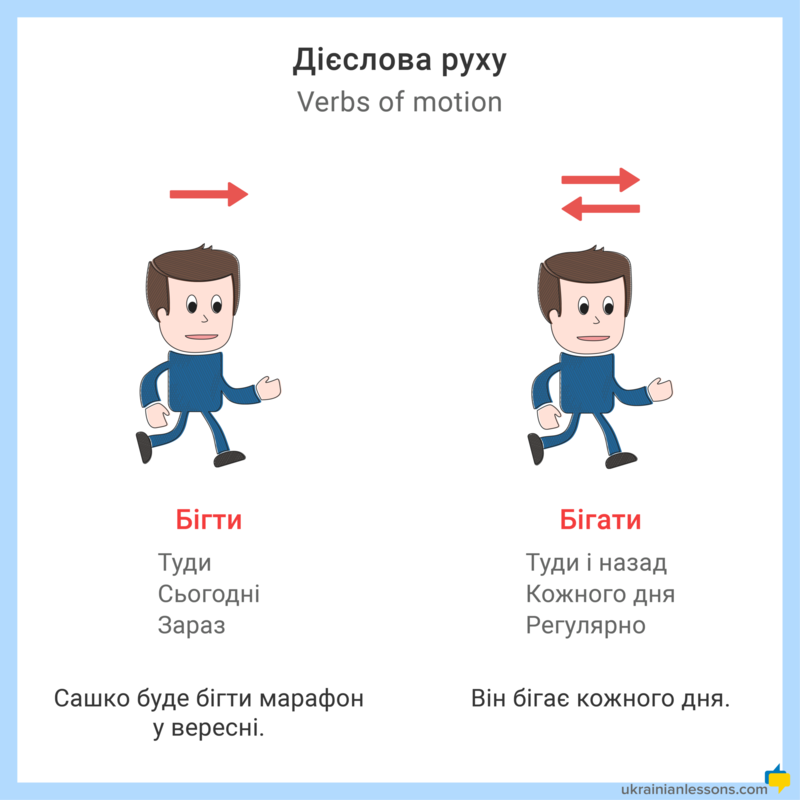 That is why we have prepared these comprehensive simple pictures that will help you to understand the verbs of motion in Ukrainian. 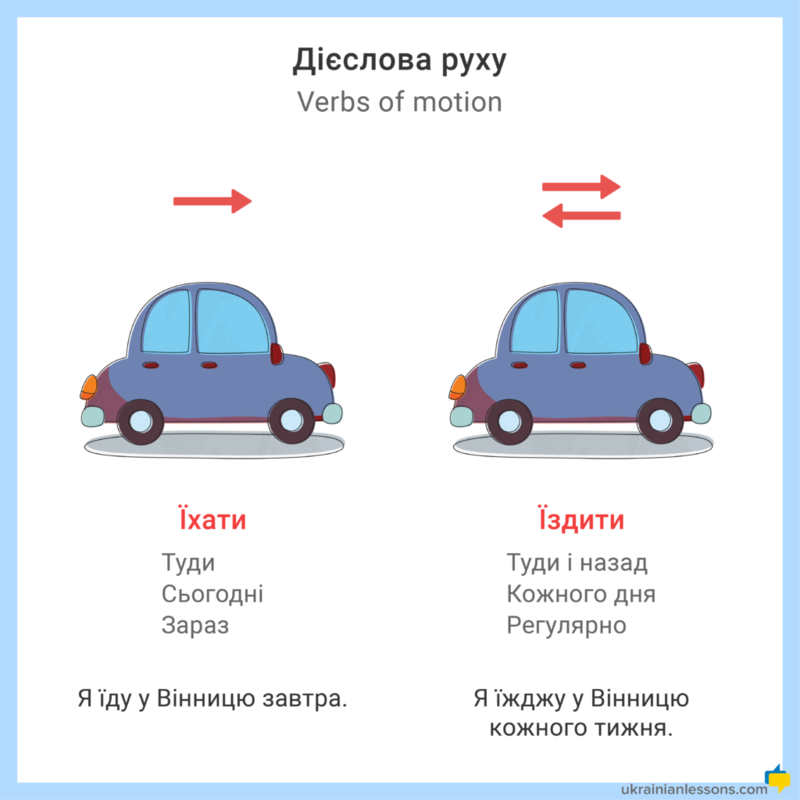 You can also check the Ukrainian lessons Podcast episode #59 where I put the verbs of motion in Ukrainian in context and offer you some practice! Я йшла додому і побачила собаку (іти – imperfective) / I was walking home and I saw a dog. Я прийшла додому о півночі (прийти – perfective) / I came home at midnight. 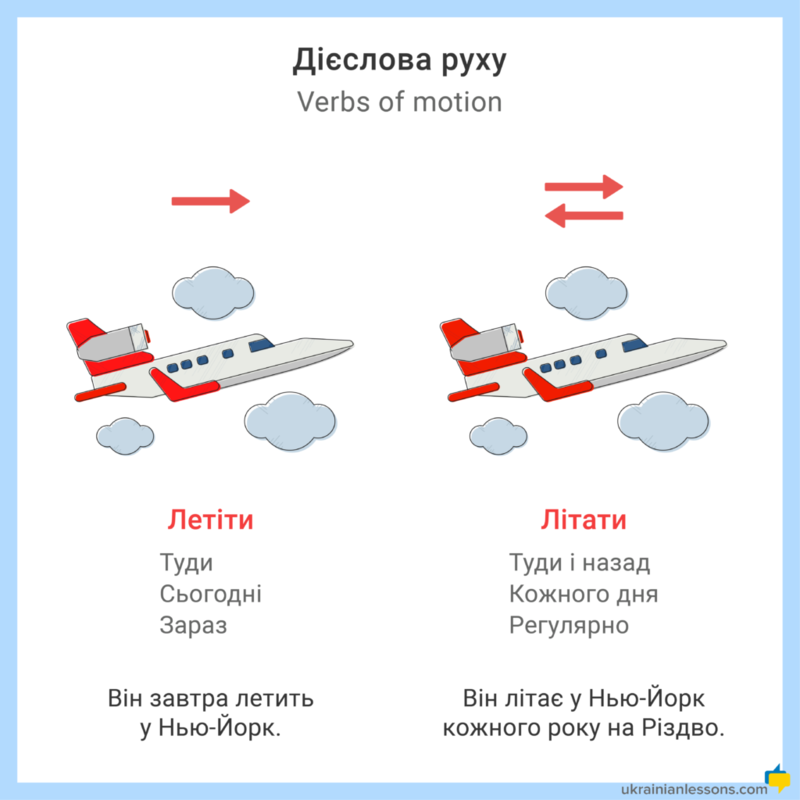 However, the verbs of motion in Ukrainian (like to go, to fly, to swim) have even more kinds – the unidirectional and the multidirectional. These verbs indicate whether the movement is made in one direction, or whether there is a return trip. So, we use іти to talk about the motion we’ve done without using any transportation, whereas їхати is used for any action done by the transportation (in many cases we don’t specify the means of transport). Let’s see and compare with pictures! How did you find it? Make sure to practice the verbs of motion in Ukrainian when you speak or write, that is the only way to become fluent in using them. Also, you can check the Ukrainian lessons Podcast episode #59 where I put the verbs of motion in Ukrainian in context and offer you some practice!